This past weekend we decided to ignore the negative Rotten Tomatoes score and see Get Hard. Now let me say upfront, I generally don’t find Will Ferrell to be very funny. Sure he can make me laugh every so often, but I find most of his movies to be too cheesy to sit through. That said, I absolutely love Kevin Hart and was excited to see how well they worked together. The movie starts off a little slow, but once it manages to get the set up out of the way things start to get good. 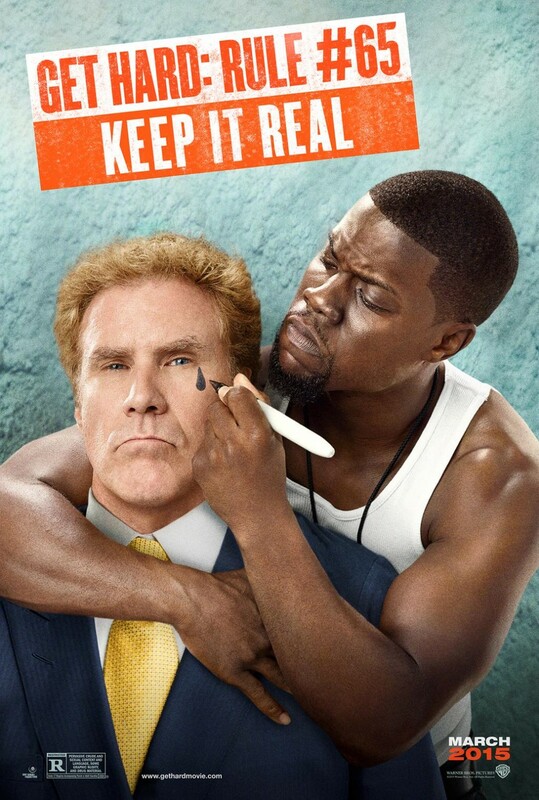 Kevin Hart is hilarious and Ferrell’s character’s profound stupidity and ignorance make for some outrageously funny situations. Sure most of the laughs are downright simple and immature, but everything is done just right and it’s hard not to enjoy it. At some points the comedy may be borderline offensive or tasteless, but the majority of it is done well and certainly made me laugh more than I have during any other Will Ferrell routine. Kevin Hart is the star of the movie and I can’t wait to see what he does next! I highly recommend Get Hard to anyone who wants something lighthearted, occassionaly outrageous and an all round good time. If you enjoyed the Hangover movies you’ll certainly find something to enjoy with Get Hard. Last night I jumped back into the Master Chief Collection for the first time in awhile. The matchmaking process was more smooth than the last time I played, however there have also been some less pleasant changes. Halo CE is my favorite game to play Slayer in, yet the dedicated CE playlist is now only 2 vs. 2. I don’t see how a two player team is appealing to anyone these days. It’s not fun to have so much of the map completely void of action as you hunt down the two person team that will always be at the same spot everytime. Furthermore, 2v2 matches are excessively long. It took an eternity for the matches to finish, and most of the time both teams would get bored toward the end and would just start team killing each other. The Team Slayer and Big Team Battle playlists include Halo CE and allow for larger teams, but the problem is CE maps hardly ever get voted for. If I try to play those playlists I get stuck playing a lot of Halo 3 which I don’t enjoy nearly as much as I do CE. Therefore I end up having to choose between playing matches that bore me, or quitting, leaving my team a man down (and also facing a matchmaking penalty). On another note, I’m also upset that there’s no longer a Team SWAT playlist. SWAT is one of my favorite Halo game modes, and it’s unfortunate that there’s no longer a dedicated playlist. I’ve also been working my way through episode 2 of Telltale’s Tales from the Borderlands. I’ve been enjoying episode 2 just as much, if not more so than the first episode. Tales from the Borderlands is an absolute masterpiece so far, and I can’t wait to play more of it (I just wrapped up chapter 3). The standalone Fast & Furious themed game set in the world of Forza Horizon 2 is available for free for Xbox One gamers up until April 10th (when it’ll be priced at $9.99). As long as you download it before April 10th you’ll be able to continue playing the game for free. The game features an achievement list separate from Horizon’s worth 1000 gamerscore which is pretty cool. Fast & Furious features a pretty sweet intro and some great new music alongside some classic Fast & Furious cars. I’ve played around with it for awhile and if you’ve enjoyed Forza Horizon 2 you’ll enjoy this game just as much. I’ve dabbled in the NBA 2K series before, however could never get good enough at the games to enjoy them. I picked up 2k14 for under $10 and jumped into the My Player mode last night. The way they set everything up (story wise) is pretty cool, but you basically have to sit through what feels like 30 minutes of cut scenes before you even get out onto the court for the first time (and then you’ll be riding the bench for awhile longer). I’ve found 2k14 has been easier to play than previous titles so far which means I’m able to enjoy it so far. I’m still completely incompetent on defense and I have hardly any idea how to play offense legitimately. Basically all I do is try to shoot threes, but on rookie difficulty I’ve been able to get by so far (though I have yet to rate beyond a C+). I’ve fooled around with Fruit Ninja Kinect 2 and have enjoyed it so far. It’s simple yet aesthetically pleasing and fun to play. I’ve been working through Borderlands 2 still but have hit a few frustrating points (while playing solo) so I think I need to spend some time jumping into other people’s games to level up a bit. This week I hope to finish Tales from the Borderlands and make some progress in NBA 2k14. Other than that I’ll continue my Madden 15 franchise and play some Advanced Warfare. 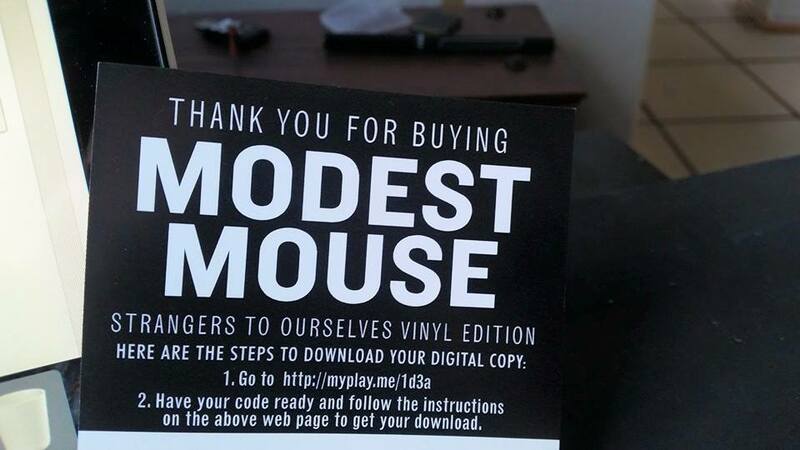 Want a free digital copy of Modest Mouse’s Strangers to Ourselves? So my copy of Strangers to Ourselves on vinyl arrived this week which comes with a free digital copy of the album. My girlfriend and I both already purchased the album on iTunes on release day, so I have no use for this code. Leave your e-mail address in the comments and later today I’ll pick one and send you the download code. For your privacy I’ll delete all the comments once I’ve e-mailed the code so you’re not getting any unwanted e-mails. For anyone else who hasn’t picked up the album yet, I highly recommend it. It’s really enjoyable to listen to, especially on vinyl! So as long as I’ve owned my Xbox One I’ve enjoyed the convenience of running my DISH Network through the Xbox One. It’s been nice to use the Kinect and snap TV to check up on a football game, or switch effortlessly between TV and a game or an app on the Xbox One. It’s also been nice to see when my friends log on while watching TV, or to snap my friends list and check to see who is playing what during a commercial. However, there has always been a pretty significant degrade in image quality when passing the TV signal through the Xbox One. For a long while I just learned to live with it, accepting the degraded quality in exchange for all of the conveniences. However, after I disconnected my Xbox to go on vacation I was taken aback by just how sharp everything looked when not filtered through the Xbox One. It’s honestly a little jarring. Since I’ve returned from vacation I’ve been reluctant to run our DISH through the Xbox again. 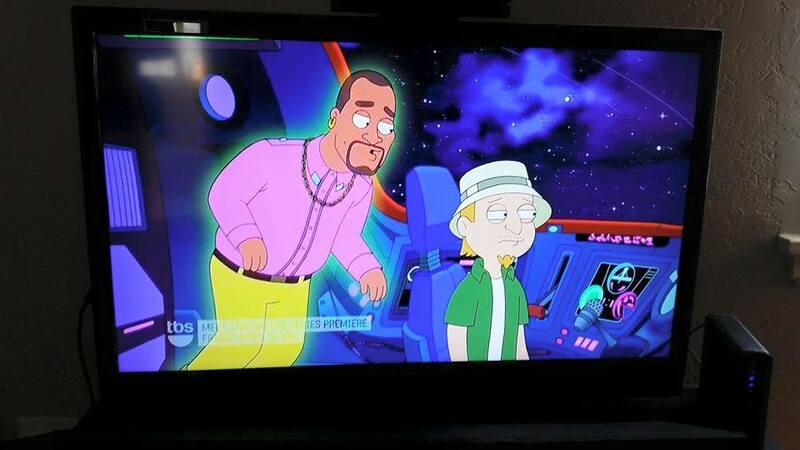 So far I’ve left it hooked up directly to the TV and enjoy the superior picture. The degraded quality is most notable when viewing blacks (dark black areas appear more grey when ran through the Xbox) and also during sports. So now I’m left torn. I miss having the convenience that comes along with routing live TV through the Xbox One, but I’m enjoying the better picture quality. Do you still run your cable through your Xbox One? Does the degraded quality bother you, or does the convenience make up for it? Yesterday I downloaded the Borderlands: The Handsome Collection on Xbox One and excitedly jumped right into the graphically polished Borderlands 2. The first thing I noticed (after the annoying long intro you still can’t skip) was just how crisp everything looked. I played a little bit of Borderlands 2 on the 360 with my brother while I was on vacation and I can say the updated version on the Xbox One is much easier on the eyes. The damage numbers that pop out of enemies look especially clean (a weird thing to comment on, I know) and it felt so satisfying to watch those numbers fly around the screen again. The gameplay is still the same as far as I can tell, but that’s fine as Borderlands 2 was a blast to play even on the 360. I never got too far into either Borderlands game, but I’m glad I didn’t as I’ll get to experience all of the gameplay in a superior format. I played around the first hour of the game yesterday solo (I had my game set to open, but no one jumped in) and it was enjoyable, though I found myself dying more than I would have liked. After I hit somewhat of a road block I decided to back out to the menu and try to hop into someone else’s game. The process proved to be a tad unpleasant, as I had trouble joining a game and it took longer than I would have liked. I was initially matched into a game only to receive a message saying I wasn’t on the same patch version as the host which didn’t quite make sense (unless an update dropped while I was playing solo). After that I timed out trying to join another game, but eventually got into a game on the third try. The multiplayer was as enjoyable as I remember it being, though Borderlands really shines when playing with friends (which I have yet to do). I’m looking forward to jumping back into the game with people I know and mowing down enemy after enemy with a variety of exciting weapons! I haven’t tried out Borderlands the Pre-sequel yet (I’ll probably wait until I finish Borderlands 2, unless I get bored) so I can’t comment on the quality of that experience. I’ve heard it performs less smoothly than Borderlands 2 which is unfortunate if true. Hopefully it’ll get patched and the issues will be ironed out before I get around to trying it out. So I should start off by saying I’m not a cord cutter, and I probably never will be one. I enjoy having a traditional “cable” service. We have DISH Network and enjoy it immensely. I love channel surfing and having a large variety of content, even if most of it I just leave on to fall asleep to (or leave on in the background). I also enjoy watching live sports, and so far it’s not very easy to do so outside of cable / satellite TV. MLB.tv and WWE Network are steps in the right direction, but the NFL is still locked down tightly (the only negative thing about having DISH is not having as much access to the NFL). With that out of the way, you’re probably puzzled as to why I would sign up for Sling TV if I already subscribe to DISH (and pay over $100 a month). Well, I have to say I’m a huge fan of new ways to consume entertainment, and services such as Sling TV, Playstation Vue, HBO’s new cable free service and the forthcoming Apple streaming TV service are wonderful for all consumers. These services are great for the college student who can’t afford cable, those in living situations where installing cable or satellite TV isn’t practical, and those who know exactly what they want and don’t want to pay for what they don’t watch. Sling TV starts at $20 a month, and is completely commitment free. No contract, no extra fees, cancel any time. Heck, you don’t even have to deal with customer retention services to cancel, you can do so right from your account (though I haven’t tried canceling yet as I’ve just signed up). The sign up process on the Xbox One was a breeze. I was signed up in a matter of minutes. 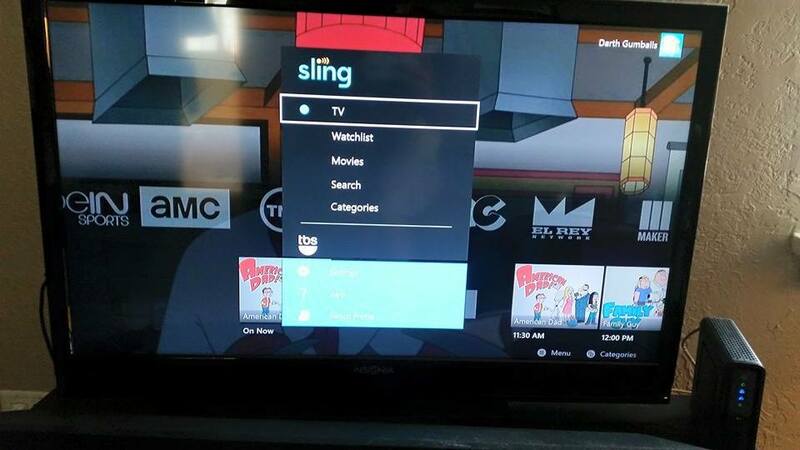 Xbox One users are able to try out Sling TV for 30 days free. You can also add ALL of the add on packages ($5/mo each) for free for the first 30 days as well. Set up your package, enter your payment information and there you have it, you can jump right into watching live TV. The picture quality is great. I have a 50mbps connection and I can’t tell the difference between a channel on Sling TV when compared to the same channel coming through my DISH. There is some buffering that causes a subpar picture for a few seconds when first switching to a channel, but it quickly clears up (I imagine this could be worse or better depending on your internet connection). If you have a data cap, using a streaming TV service might not be practical if you watch a lot of TV. We have a 400GB monthly cap that I already eat into a good bit by downloading games and watching Netflix. If I tried to use Sling TV as my primary TV service I would easily blow through my data cap. I checked my bandwidth usage on my Xbox after using Sling TV for about twenty minutes and found that I had used 638MB during that period. I wasn’t downloading anything else, but I wasn’t watching the data in real time so I can’t say for sure how much of that was used by Sling TV. Still, it’s a pretty high number so you can imagine how much data you’d use in a month. The Sling TV interface is clean and easy to navigate, though I think the DISH interface is easier to navigate (though not as good looking). I like that when viewing a channel’s schedule you’ll see pictures for most of the upcoming shows or movies. However, there doesn’t seem to be an easy way to see everything that is on all the channels without scanning through each one. I could be missing something, but I don’t see any sort of traditional guide. 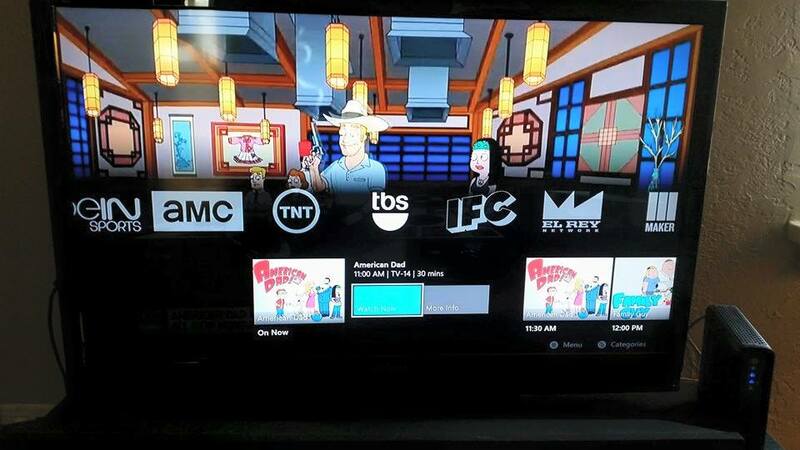 Sling TV’s base package includes a lot of high demand channels such as ESPN, TBS, AMC, IFC and Cartoon Network. With the $5 addon packages you can get even more content, such as the sports pack (ESPN News, ESPN U, Universal Sports Network among others), movies (four EPIX channels and Sundance), news and more. So far I’m pretty impressed with the service. I’m excited to see if these services can affect the traditional cable services, possibly giving users more control over what they get for their money. We can only hope! Back from vacation..so much to blog about! I landed back in Boise late Saturday night after spending a wonderful three weeks back in York Pennsylvania with my family. The weather didn’t quite cooperate most of the time, but overall it was a great trip! I enjoyed hanging out with my dad, playing Minecraft with my brother and seeing the rest of my friends and family. I certainly miss them a lot the rest of the year! I also enjoyed the two weeks Vanessa spent with me during her second trip to the East Coast. We had a blast in New York City, touring the Yuengling factory in Pottsville, visiting the National Aquarium in Baltimore and enjoying all of the fun at Chocolate World in Hershey! The time went by so quickly and I’m quite sad I won’t get to visit again until next year. On the upside, I’m glad to be back in a city again. My dad lives in the middle of rural (nowhere) Pennsylvania, and while the scenery is nice (you can see so many stars at night!) I’m glad to have broadband internet and all of the convenience of city life again. I still have some unpacking and housework to do, and I went back to work last night (working the night shift again), but I’d like to get back to blogging more regularly as soon as possible. I have so much I’d like to write about. I’d like to share some photos and experiences from vacation (Drunk Shakespeare off broadway in NYC was an absolute blast!) and there’s plenty of topics I want to talk to you about. I’d like to try out Sling TV on the Xbox One (though I already subscribe to DISH and don’t see myself “cutting the cable” anytime soon. I enjoy having a traditional TV service). 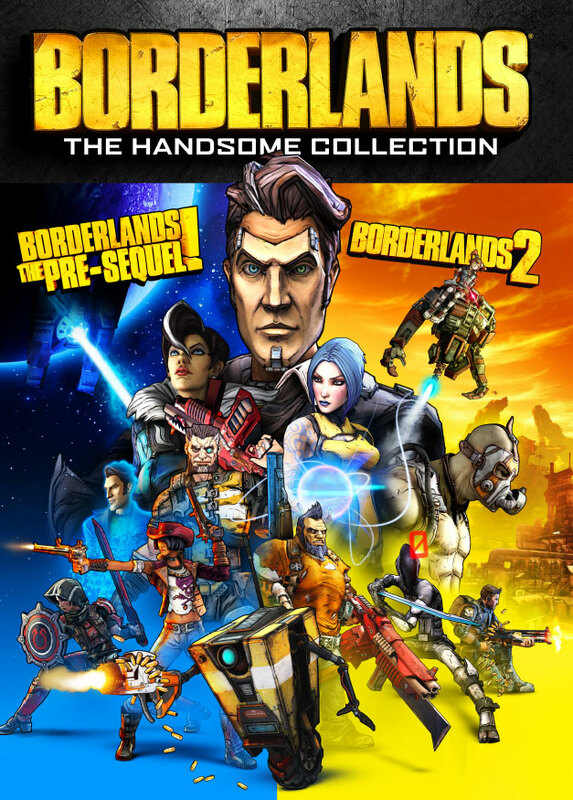 I’m also looking forward to picking up the Borderlands Handsome Jack Collection tomorrow as well as playing through episode two of Tales from the Borderlands. 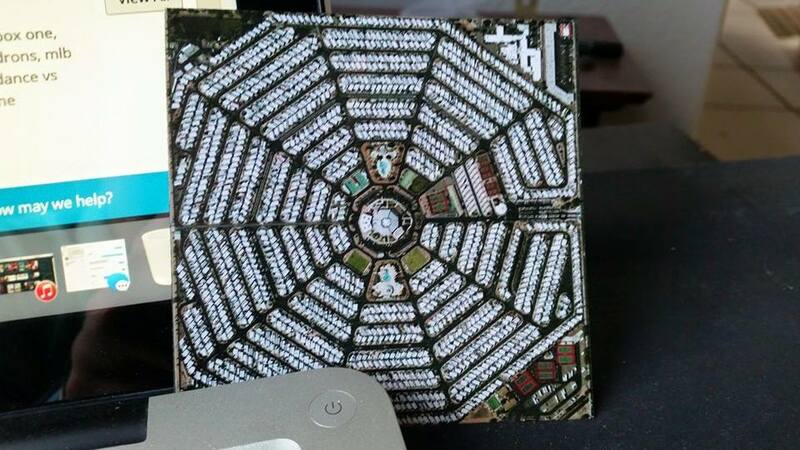 I’m hoping to tell you about how much I’m enjoying the new Modest Mouse album (my vinyl copy will arrive Wednesday) and also the latest comedy album from Trevor Moore (whom you may know from Whitest Kids U Know). There’s so much I’ve wanted to write about, but ultimately I’m glad I spent most of my time enjoying the company of friends and family instead of worrying about my blog. I hope you haven’t minded the silence! I promise, you’ll hear more from me soon!